Conference/ Seminar Programme: Publish your Conference / Seminar selected papers with ISSN or ISBN in collaboration with sponsorship. Conference/seminar Programme is one of the excellent services offered by ‘Shikshan Sanshodhan’ : Journal of Arts, Humanities and Social Sciences that is uniquely intended to support the researchers and conference organizers to getting publish papers in special issue of ‘Shikshan Sanshodhan’. We provide conference organizers a privileged platform for the publishing of research work presented in conference proceedings. We also invite Collaborations and partnerships with academic institutions / Universities for regular organization of Conference/ Seminar / Workshops . ‘Shikshan Sanshodhan’ also organize NATIONAL or INTERNATIONAL CONFERENCE/SEMINAR in collaboration with academic institutions, organizations, university, etc. and publish its papers as well as proceedings. We provides technical support and help for the administration, promotion and publication of conference / seminar / workshop. Our organization is dedicated for the promotion of research work related activities and publication. Organizing institute can invite our expert member as a key notes speaker / guest member. 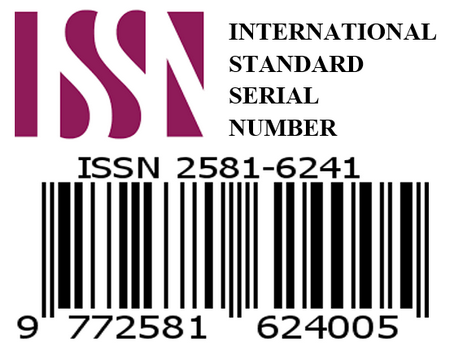 The research papers accepted and presented in the event will be eligible for publication in special issue of the journal with ISSN and Vol.Number. OR with ISBN Book. The processing fee for publication of such articles/Proceeding Papers will be given concession 50% to 70% on quantity. The published papers will be indexed in Google Scholar, Academia, Internet Archives and other open database this will give a lifelong benefits to participants of the conference as their papers will be counted as research papers for Academic Performance calculation in future. You will be able to use our logo and banner in your advertisement and promotion of conference which will enhance the value of your conference/seminar. Collaborated Conference / Seminar promotion on our all websites and social media. If you are a conference/seminar organizer and planning to organize at National / International, then you need to send the conference/seminar details. Institute or Organization Name, Address, Contact Number, Email IDs, Coordinator/Director details. Conference/Seminar Dates (If you have finalized the dates or tentative month/year). City/Country where this conference is going to held. Website Link, if you have a conference website. Once the conference/seminar is approved by the board members, we’ll notify the organizer via email/phone. Please make sure you follow the instructions as per journal guidelines: Follow these norms. 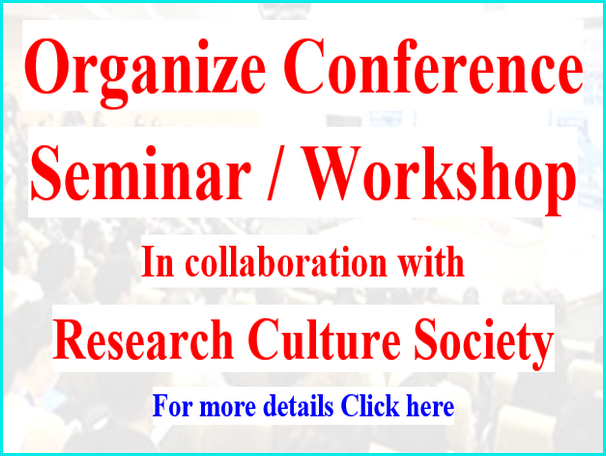 Mention ‘Research Culture Society’ as sponsor/co-sponsor in Banner/web link and ‘Shikshan Sanshodhan’ with ISSN as publishing partner in brochure/leaflet/promotion material for your conference/ seminar. For collaboration memories – Organizing Institute has provide us memento, certificate and to invite one of our committee member as a guest representative with providing expense of traveling as well as other accommodation.